As a restaurant owner, you want to make sure that the food tastes good so your patrons keep coming back. Moreover, it is also your responsibility to ensure fire protection to keep your patrons and employees safe. The National Fire Protection Association reported that about 8,000 fires break out in restaurants and commercial kitchens across the United States each year. These fires cause an average of $270 million of property damage, not to mention injuries and even deaths. Don’t keep your food establishment vulnerable to fire. 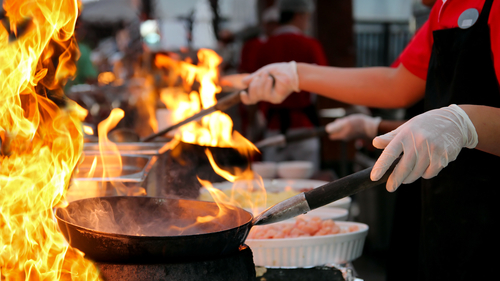 Most restaurant fires originate from cooking equipment. And these devices are usually found in the commercial kitchen. High temperatures, open flames, flammable cooking ingredients, cleaning chemicals – there are many risks for accidentally starting a fire in the kitchen. Thus, it’s only logical that your fire protection levels should be increased in are in the business of preparing and serving foods. Other causes of restaurant and other food establishment fires include inadequate ventilation, electrical wiring malfunctions, faulty equipment, smoking items, and arson. All of those causes combined show less than 35 percent of all restaurant fires across the country – the rest occur in the commercial kitchen. The best defense against fire is to prevent a blaze from ever happening. Teach your staff how to effectively use a fire extinguisher, how and where to store flammable liquids and materials, and designate daily, weekly, and monthly tasks to avoid fire hazards. For example, used cardboard boxes and wet and dirty rags should be appropriately disposed of every day. Food, paper products, and boxes should be kept and stored far away from heat or any cooking equipment. Additionally, preparing an emergency plan is critical if ever there is a fire to keep your staff, customers, and establishment safe. Any commercial business should have preventative maintenance plans in place; it is the most helpful and useful way to stop a fire. 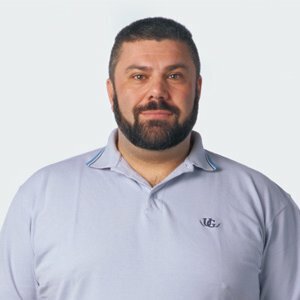 Since restaurant and commercial kitchens are always at risk of a fire, it’s crucial to have the most effective preventative maintenance and fire safety methods available, including fire extinguishers, fire suppression systems, and keeping all equipment maintenance and inspections up-to-date and up to code. Additionally, as a business owner, you should be familiar with and comply with your state’s fire codes. Work with fire protection companies to help you in every aspect of fire safety. 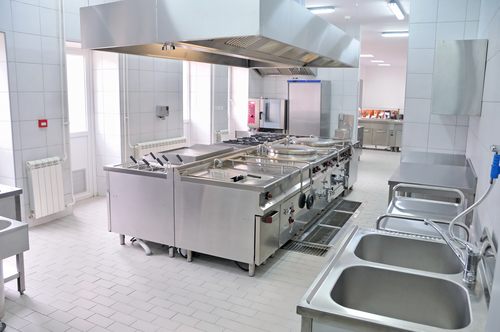 Fire Suppression System – installing an automatic fire suppression system in commercial kitchens is of utmost importance. When activated, this fire protection tool will automatically distribute chemicals to subdue a cooking fire and will turn off the electric supply or fuel to other cooking equipment in the kitchen. Your fire suppression systems should have a professional inspection twice a year. Fire Extinguisher – every establishment – residential or commercial. We will delve deeper into the different types of fire extinguishers and their uses in a future post. For restaurants kitchens, Class K extinguishers should be used. These extinguishers are specially built to put out fires caused by oils, grease, and fats. Furthermore, in rooms of restaurants other than the kitchen, there should be Class ABC extinguishers ready to use. These extinguishers are used for fires that occur involving wood, electrical, or paper. Scheduled Inspections and Maintenance – as with every type of business, a food establishment should have regular maintenance and inspections for all their electrical devices. Restaurant owners and business managers should also be familiar with any electrical fire hazards and how to handle them. Aside from the cooking equipment, exhaust systems should be checked for grease buildup monthly. High-volume kitchen operations should be inspected once every three months, while moderate-volume operations should be inspected once every six months. I’m a home theater designer and installer in Atlanta, GA. I do professional photography shootings on the side. Blessed to be married to my sweet Margret. We adore our four sons. A book called “Fair Game” by Valerie Plame Wilson influenced me greatly when I read it years ago. I became a big fan of her books. When I saw that this domain name was available, I grabbed it! When I set out to do a blog on home theater I decided to use it rather than letting it go to waste. © 2019, Contractors' Corner. All Rights Reserved.